Two poetic worlds will collide at Dead or Alive Slam at Verve, only the second time this format has ever been done. 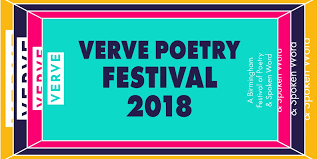 Witness a battle of words and wit as three of the UK’s leading contemporary slam poets challenge three dead poets in three epic slam rounds, judged by a panel of audience members. Who will be the victor? You decide. £6/4. Book your tickets here.